Vancouver Island's mild climate offers local vintners a year-round growing season. Tours wind through rolling hills, fruit orchards and along country roads. Discover classic varietals, new favourites and sample local bounty along the route. You'll soon see why Conde Nast and Travel + Leisure named the region one of the world's best island getaways. Located 45 minutes drive north of Victoria, wine tours in the Cowichan Valley offer you a glimpse into a slower pace of life. Charming farmsteads are interspersed between lavender fields and award-winning wineries. During a tour to the Cowichan Valley, you can discover classic wines, a tea farm and farm-to-table bistros. The Saanich Peninsula is 30 minutes from downtown Victoria, making it an ideal destination for those looking to blend their wine tour with a trip to The Butchart Gardens. Or, stop in Sidney by the Sea to stroll through charming boutiques, book shops and sample spirits and bitters at Victoria Distillers. Relaxed tasting rooms offer something for everyone - from first-time tasters to serious afficionados. 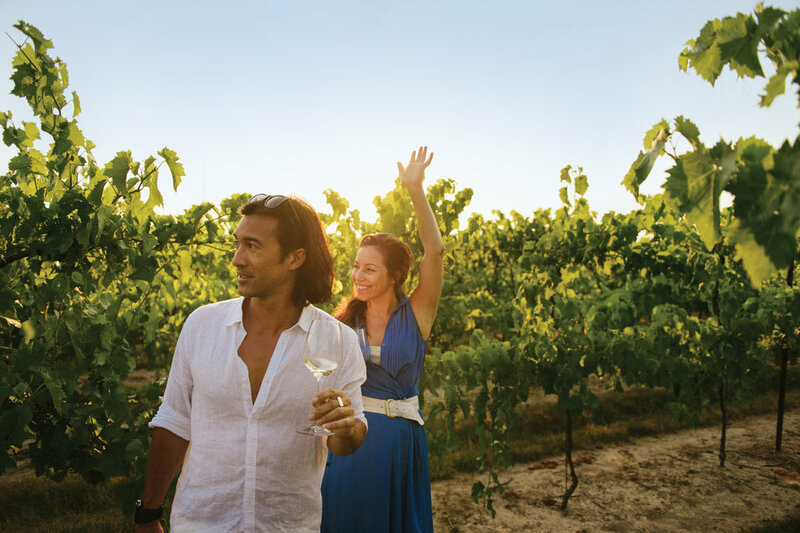 A 4-hour wine tour is the ideal afternoon diversion. Departing from your specified location in Victoria, these private tours are suitable for 2 to 6 guests. Tours include transportation in a luxury vehicle with uniformed guide, bottled water and tastings at 3 wineries on the Saanich Peninsula or Cowichan Valley. Walk through the fields and learn about the grapes. Looking for a day in the country? A 6-hour wine tour affords ample time for tastings at 3 wineries on the Saanich Peninsula or Cowichan Valley. Allow us to assist you with reservations for a farm-to-table bistro lunch or a gourmet picnic you can enjoy on a licensed patio with a view.